"Thank you Tribfest for an amazing weekend. You were all so helpful and lovely and made the last 4 days great"
"Had a fantastic time with a load of family at tribfest and will be booking again next year." "My eleventh Tribfest, they get better and better. Many thanks Ed for having the vision all those years ago! Also big thank you to Tess Events, best festival toilets, ever"
"It was a great weekend with a diversity of acts with something for everyone which was great as most other tribute weekends are only one type of music, but we had Little Mix, Elvis, AC/DC and everything inbetween. Can't wait for next year!!" "Had the most fantastic time as always, thank you for making so many people happy"
"This was our 9th tribfest and definitely the best one yet! Thank you to whoever handed in my friends wallet to lost and found, he left it in the portaloos, handed in with all the cards and cash still there, not many places that would happen "
"What a fantastic event! Thank you so much for an amazing weekend. Organisation second to none. Can't wait for next year!" "Top weekend, great fun with great people. My first full weekend at Tribfest, can't wait for next year"
"What a fantastic weekend, first year here. Looking forward to many more"
"Absolutely fabulous family festival. Well organised and ran by the team and super entertainment. We will be back." "Absolutely amazing fantastic atmosphere, brilliant line up, can't wait for next year, many thanks to all who make it possible"
"3rd time at tribby. Best yet....! Ace selection of bands...portaloos cleanest ever seen...powder paint fab...Patrick Monahan Wow! See you next year!" "Awesome first Tribfest, tickets booked and can't wait for next years!" "Amazing festival. Can't wait until next year. Bring on 2017!" "Absolutely amazing festival! Very well organised!" "Just home from a fabulous Tribfest 10. I've been to all 10, from it's humble beginnings at Driffield, onto Tickton and for the last 5 years at Sledmere, where Ed has continued to put on a top-notch festival. Great organisation, great facilities, great bands and great people. Big shout-out to the loo-cleaner and, as always, the very wonderful Shower Ladies.....cannot be faulted. Thanks Ed for another fantastic weekend. Will I be back next year ? Well let's just say I need to keep up my 100% attendance"
"Fantastic weekend - in spite of the rain you really can't fault Ed and the team. Without a doubt the cleanest portaloos in the country and the bands are first class! Easily the best value and friendliest festival available. See you for tribfest 11"
"Fantastic festival again this year despite the rain. Security being upped was great and loved the Transformation Station! Spice Up Your Life took me back to being tiny, Adele by Lareena was ace again in the rain and sun and Meet Loaf is always good. IMO though, Green Date was by far the best on main stage and The Wonderers were brill in VIP. I couldn't believe the age range in the crowd for Wonderers. I'm hoping they'll both be back next year. Definitely a lot of talent there. Thanks again Ed & team"
"Our third and most fantastic year! The kids just love kids zone and Emma's craft tent we always come home with lots of handmade souvenirs! Lovely friendly atmosphere. 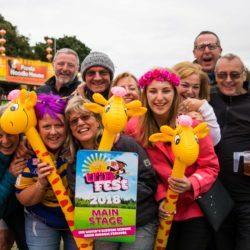 Our favourite family holiday"
"A great festival and weekend, first time for us at Tribfest although we do as many other festivals that we can to see some great tribute acts. Green Date in particular are favourite and never disappoint, cant wait to see them again. The Wonderers were good for 50's 60's rock n roll covers really enjoyed them. Well done for providing good clean facilities to Tribfest organisers." "Had a fantastic time at our 1st Tribfest! Absolutely knackered. Great atmosphere, hats off to the staff who kept the site clean and tidy, including the toilets- very impressed! Saw some great unsigned and acoustic acts - the real talent - especially the Educatables & Dogfinger Steve"
"What an experience at Tribfest 2016!!!! Fab line up, fab people, fab organisation, can't wait for next year!! Well done to all you guys behind the scenes,you kept that place spotless"
"Brilliant weekend, Queen were amazing. Been 4 years now and am looking forward to next year. People were friendly, fantastic week end." "My first Tribfest experience - excellent weekend. Couldn't fault anything - the cleanliness / the security / the organisation / the bands / the food / the prices. Everything top notch. Already booked for next year"
"Wow wow wow absolutely still buzzing from a fantastic weekend even the weather couldn't dampen the fun can not wait until next year ⭐️⭐️⭐️⭐️⭐️!" "Brilliant can't fault a thing and with VIP tickets you can hide from the rain and still watch great bands defo going back next year thanks to the great organisation for a great weekend"
"A great weekend, the setting is well drained country house park land (usefull :-)). Great bands, Wonderers, Antarctic Monkeys, Green Date and many more. Oh, the acoustic tent brilliant. So much to listen to, so little time." "First visit on Friday awesome event very well organised, no queuing, great food, good prices, £3 a drink. ABBA and Meatloaf the highlights. Will definitely be going next year, and clean toilets!" "Our first time, but not our last! Absolutely loved it! Highlight was The Sensational David Bowie (and the foam! ), Green Date and The Cavernites. Brilliant!" "We loved our 1st Tribfest- can't wait for next year. Brilliant atmosphere and the teams that made it happen did an amazing job." "Amazing!!!!!!!!!!! Really worth going! Highlight of the year!!!!! Great for all ages too!" "Just had the most amazing time @ Tribfest Music Festival what an awesome festival, excellent music excellent people. Why isn’t every festival like this?! I will be seeing you Tribfesters next year, Rock ON!!!" "Thanks Ed for another amazing Tribfest weekend! The FRCA kids absolutely loved it and can't wait until Tribfest 11 :D You give young people such a great opportunity and with many other local festivals scrapping the youth stage, it's nice to see someone backing our city's up and coming youth talent! Special thanks to Green Date for supporting one of our young people (who's a massive Green Day fan!) and coming to our marquee to play three songs with his band! Thanks also to Jon, Tommy, Jo and Sam for all their hard work, they're ace! Also, the nineties band that played last night in VIP were class! Hope to see them again next year." "Wow back from Tribby 10 thanks to Ed and his amazing team, fantastic 4 days of music and laughs bloody rain didn't stop us :)"
"First time at Tribfest. Amazing weekend. Def booking next year." "Had a blast at this years Tribfest, second year I've been and really enjoyed the music, the beer and of course the weather!" "We had a great weekend! Thank you. And their first festival!!! We've already bought tickets for next year...."
"Been to lots of festivals, but Tribfest has to be seen to be believed. Highlights for me were Bookends, Smiths Ltd, Bye Bye Baby and Ain't Skynyrd. If you have any misconceptions about tribute bands, give Tribfest a go. It's fantastic!!!!!" "We have been going for 8 years now and always have a fantastic time already booked for next year Ed and the Crew do a fantastic job well done to everyone involved we had the best Tribfest ever this year"
"Tribfest - the only place where Ginger Spice and Alice Cooper can be found side by side..."
"First time at Tribfest this year, just nicely home and recovering. What an absolutely brilliant 4 days! The organisation, campsite, toilets, showers, all perfect, not to mention a host of brilliant acts. Everything was fab, will definitely be back next year." "2nd year at Tribfest, had a fab time again, favourites were Antarctic monkeys and badness, definitely going to be making this a yearly trip, thanks to all involved for making it such a well run event"
"Awesome time at tribfest 2015 absolutely blown away by the atmosphere and professionalism at this great event and even the sun hardly stopped all weekend - a huge thanks to the litter crew who did a sterling job of keeping the place clean." "Amazing weekend! Well done to everyone involved. See you in 360(ish) days"
"1st time at Tribfest. What an amazing weekend... Thank you Ed and the team for making it a fantastic one..."
"Still trying to find my voice after meatloaf on Friday night!! Had a fantastic time at Tribfest 14!! First time at this event and will be back next year...Please no wind!! Thank you to all involved for an fantastic event!!" "What an amazing festival. We remember playing in 2007 and was amazed how it's grown. Thanks for everything. The crowd were brilliant. Thanks again. The-Rex x"
"First day back from four days away at Tribfest, Anne-Marie's and my 8th since it's organisation in Driffield in 2007. It just continues to get bigger and better with all sorts of music from The Carpenters to Motörhead. The Floyd Effect had to marginally beat the UK Foo Fighters and AC/DC UK as the best band. Music aside, as a plus, the toilet crew definitely did their best job in several years. As a minus it was the worst weather since the original in '07. A big thanks to our hosts Sledmere House, Ed, the organisational team, the stage crews, security, the litter pickers and everybody else involved. Looking forward to Trib '15." "A massive thank you to all at Tribfest Music Festival. Once again I had the chance to be like everyone else and just get on with enjoying myself at the festival. The few little problems from last year were sorted and this year went without a single hitch. Special thanks to Ed Faulkner, the sparkies & the firstaiders, I can't express in words how grateful I am to you all. Booked my tickets for next year so hoping to see you all again then xxxxx"
"Well we all had an absolutely brilliant time this year again, the band on the Sunday night was AMAZING! Probably one of the best bands all weekend. Thanks very much to all of the team, no complaints from us"
"It was our first time at Tribfest and we had a great time. Selection of music was enough to cater for the broadest requirements. Beer prices were very reasonable, toilets were kept in very good condition, food selection was good, although Mrs. L would have liked more trade stalls to look round! We even had an hour in the dance tent on Friday, and although it was good, I felt like "the oldest raver in town". (Brought back some great memories though). Thanks to all the folks who worked unseen to put on a great event." "First time this year for me what a great festival. Roll on 2015"
"Thank you for the amazing festival, well worth the money I paid, it gets better and better every year. Bring on Tribfest 2014!" "Yet another Epic Tribtastic Tribfest Ed!!! Once again you nailed it!!! Thanks to everyone involved who made it such a fantastic event!!" "Thanks Ed and all the staff at Tribfest. Transmission had a great weekend. Thanks for your support and kind messages!!!" "Wanted to say the Security was great this year, knew what they were doing ensuring a safe event for everybody. Great bunch of people especially the Kent boys." "Thanks everyone, from Green Date!!! As always our favourite gig of year!!" "Security were superb and went above and beyond all weekend, they even came around the camp site to check how everyone was in a morning and evening. Great idea for the separate camping areas, we were in family and it was quiet and spacious! Wouldn't change a thing, it was AWESOME!" "Great weekend and great that changes made to campsite meant I got plenty of sleep! See you next year." "First time at Tribfest....fantastic weekend. Roll on Tribfest 2014!" "Can I be really selfish and just hijack this page to say "thank you all so much for a great weekend and for making me feel very welcome both on and off stage." Great crowd, great site and great event. Darren ( host on Fri and Sat )"
"Had an absolutely brilliant weekend, was my first tribfest and will defo be back, great bands, great atmosphere, overall very very good. Thanks to all involved"
"Amazing gig at Tribfest as always. Thanks to Eddie, the sound crew and everyone who was there to see us." "Brilliant. Saw some bands we haven't seen before and they were fab, Reasons to be Cheerful, Slyde Alive, 1984, all brilliant. PS. just got to say the security team were excellent...very professional and the best that I have seen at any festival." "Big thanks to Ed and team. Another fantastic year"
"Amazing weekend!! Highlights musically: - Rob from Motorheadache IS Lemmy, The Strange Doors what a band, Ozzy and the guys playing Dio numbers Saturday afternoon in the VIP. The Beautiful Couch I thought were fantastic and should be headlining (even before I realised it was Ed singing!) The Comedy tent was just genius. 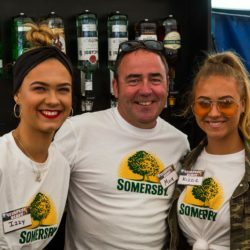 Overall the staff (security/bar/all of you) were polite and professional, really the best I have ever dealt with in 25 years of going to festival. Definitely booking for next year"
"I would absolutely recommend this festival to everyone! We had the most amazing 4 days and nights at Tribfest and will be booking again for next year. It was friendly, safe, everything reasonably priced (tickets, food, drink - £3/pint) and a great mix of people from families with kids to groups of friends, even someone celebrating their 71st birthday!" "Just returned from Tribfest 2013 - Wow, such an amazing gig; brilliantly organised and just the best audience ever. Thank you so much, hope we can return next year." Karen & Mick - Portrait; A Tribute to the Carpenters. "It was my mates and my first Tribfest and it was absolutely amazing!! All the bands were fantastic and the comedy tent was excellent! What an amazing finale with the fireworks to The Bohemians (Queen tribute). VIP tent was so worth the money too... love the lounge areas! Well done also to Steve the Bomb Disposal Engineer Comedian. Best comedy host I've seen for a long time!!!! Got our tickets for next year & can't wait to bring the family and our mates too this time." "Amazing time at Tribfest, getting better every year. Great thanks to all involved in making it a safe and fun festival. Massive thanks to all the bands, you were brilliant and thanks to the campers around us who put up with our constant noisy laughter!" "Loved Tribfest again this year, met up with friends we made last year and also made a whole bunch of new ones - looking forward to next year." “It was a real joy to play Tribfest 2013, we met some fab people and bands, some of you may have overheard The Floyd Effect/Kings Ov Leon drunken singalong around the TFE campfire, great memories. I have been to many festivals over the years but none with the fantastic vibe and atmosphere that Tribfest has." "We have attended Tribfest for the last three years, we are an all ladies group and we bring our kids because the whole environment of Tribfest is set up to entertain kids and adults, everyone has such a good time that we buy our tickets for next one the week after, so we all have it to look forward to for next year!!" "Tribfest is awesome, great range of acts, we drive for three to four hours from Cambridge to come to Tribfest and its 100% worth it!" "We had a fabulous weekend. The music was great, a huge variety of different bands, something to suit everyone's taste. There was a family friendly atmosphere, great choice of food and drink and we can't wait for this year's line up"